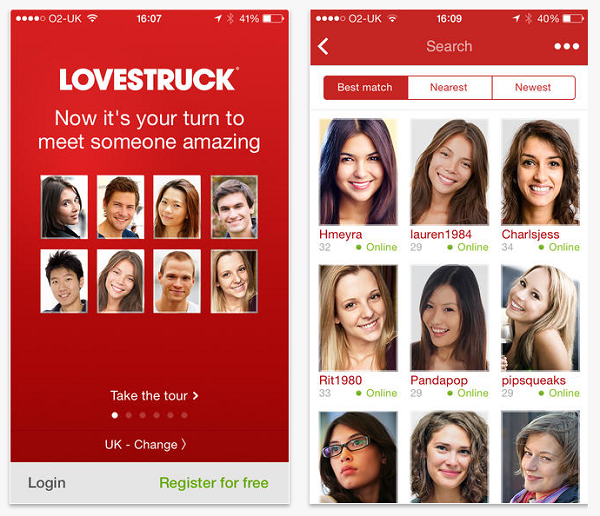 Our review of the Lovestruck App discovered a dating app which is much more than just an online dating service. 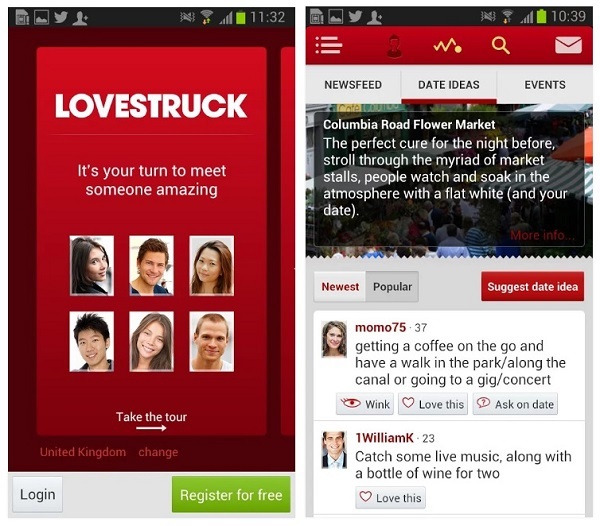 Lovestruck.com uses its Android and iPhone dating app as a venue where busy people can meet for any reason they like. The app offers singles events regularly which makes meeting and matching with a like minded match even simpler. This review lists all the information about the Lovestruck dating app which you need in order to decide if you wish to download it to your mobile or tablet. But the nifty thing about the app is that Lovestruck dating is so much more than an intuitive dating app for your mobile or tablet. It gives singles who are looking to date the option to meet at a relaxed event without any pressure. The Lovestruck singles events are promoted on the app regularly and are extremely popular and effective. Lovestruck is quickly becoming social platform for like minded people to meet through their iPhone, Android or using the mobile site. 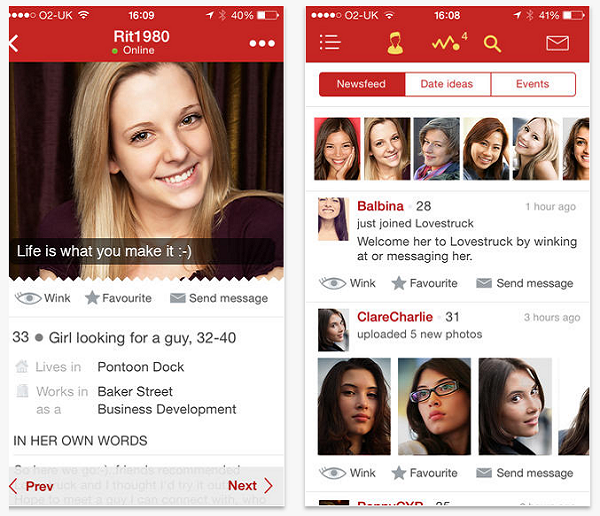 The Lovestruck App has got a great design which make browsing other profiles quick and easy. It has a navigation menu which is friendly and intuitive, and the app loads quickly. There are many local singles search options and filters which allow the app to match you with other dating singles in your area. If this app isn’t what you were looking for we invite you to check out additional iPhone dating apps and Android dating apps which we have reviewed (and which you can download on our site as well). For those not interested in downloading the app there’s also Lovestruck mobile. The Love Struck mobile site is completely accessible to all mobile phones and tablet and users can use it in the same way they use the Lovestruck dating app without downloading anything from Google Play or iTunes. 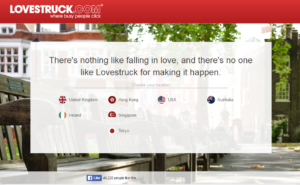 All you have to do is go to Lovestruck .com from your mobile device and you will get to the mobile version of the site. Then you can signup, login and start dating. Lovestruck mobile is 100% responsive. This means that any mobile phone or tablet will be able to view it in a friendly mobile version on their device. No need to download the app if you don;t want to. All the same options as the Lovestruck mobile app are still available and the user experience is kept at a very high and friendly level. Matches are sorted by: Best match, nearest, and newest. You can contact members from their profile page by sending a wink, a message, or classifying them as favorite. Date ideas is a feature which shows you who thinks your date ideas are nice and suggests compatibility. Newsfeed – provides easy notifications on who joined Lovestruck lately and more. Events – are the highlight of the Love Struck app in our minds. You get notifications of the latest upcoming event which you can join and meet other members of the online dating service at the comfort of your neighborhood. Singles Events include: The highly anticipated Red Straw Laissez-Faire events and parties. These events are usually hosted at a bar and people who order a drink with a red straw signal that they are Lovestruckers who are interested in chatting. These events usually have no entry fee, no RSVP, no nametags, no games and no rules. If you are into singles dating online and live in the UK you should download the Lovestruck dating app to your Android or iPhone today. It is one of the leading UK dating apps for singles and it’s the talk of the town when it comes to the famous dating events they organize. If you are living outside of the United Kingdom we do believe you should download the app and give it a shot. Lovestruck is investing heavily in its worldwide online dating applications and is expanding its reach daily. Their singles dating events are a must for people who are looking to go on an online date, find love, or start a relationship using their mobile or tablet. This is definitely a dating app which offers a unique twist with its offline dating events. 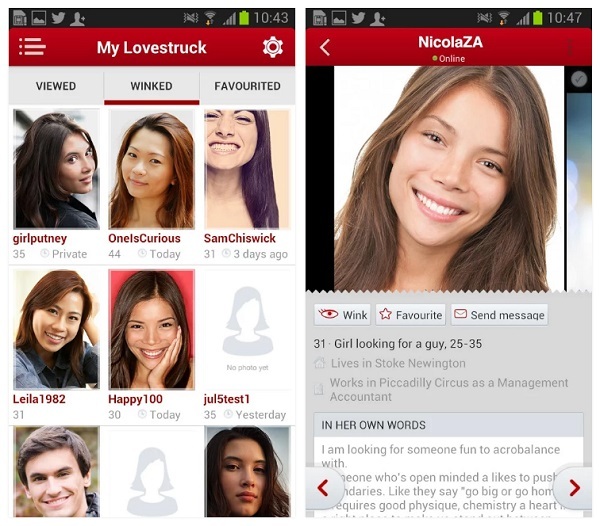 Our recommendation is to download the Lovestruck App to your Android or iPhone and start dating. What is the Lovestruck App Date Ideas Feature? The Date Ideas feature on Lovestruck works in the following way: You create a date idea which you think is great and publish it on the application or dating site. Other members get to view it and if they like your date idea they contact you and you can go on a date. You can of course view other members date ideas and choose the one you like to try to make a match. How does profile verification work? You submit us a link to one of your social IDs on Facebook, Linkedin or Twitter. One of the Love Struck service team checks if that ID matches your profile on the app or website and you are verified. Are your Laissez-Faire parties open to everyone or just for members? The Lovestruck Laissez-Faire parties are open to everyone. So you can bring a friend and attend.